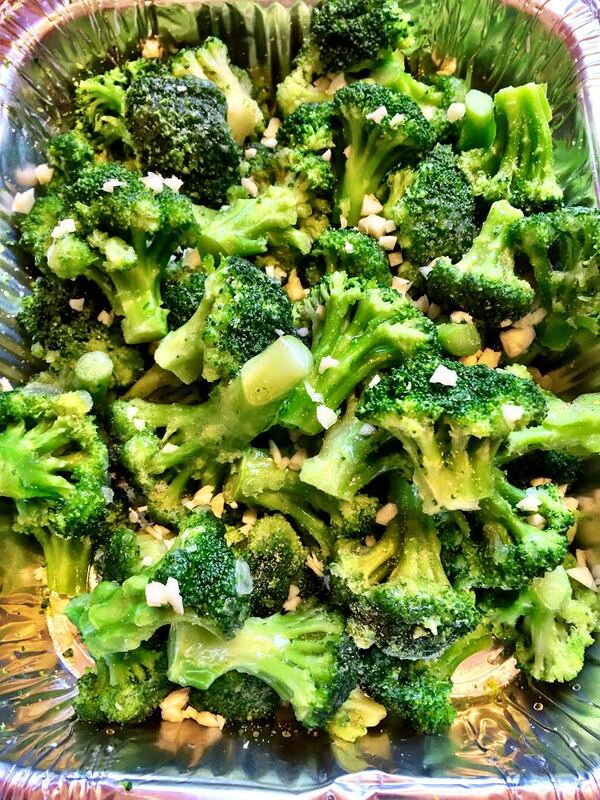 This is my first time “baking” or “roasting” broccoli, but I’m confident they will taste great just like the cabbage, brussels sprouts, carrots, zucchini, and green beans. 🙂 I minced up several cloves of garlic, added olive oil, and granulated garlic powder. It’s in the oven now baking at 350. Baked covered for about 40 minutes. I am using frozen broccoli, so it may take longer. With 21 days left til I walk on stage again for my second figure competition, I struggle to get everything crossed off my to do list. Heck.. today, I can’t even find my book that has my lists. Ugh!! These days, I’m trying to keep meals for me and my family as simple as possible. Later, I’ll share my other baked veggie recipes. This morning I did legs, but here’s a video of me doing one of my favorite back exercises (Bent Over Two-Arm Long Bar Row) from another day. For best results, you MUST do each exercise properly. This video is the correct way to do this exercise. My friend stopped me three times before I did it right. That’s what you want… trust me! If you’re new to weight training, hook up with an experienced, ethical, and knowledgable personal trainer. They will teach you the right way. Anything other than that will have you disappointed and frustrated with your results. This entry was posted in Family Living, Fitness, Healthy Eating, Healthy Living, Inspiration, Uncategorized and tagged back exercise, baked broccoli, baked vegetables, baking, body building, Broccoli, cooking stove top, figure competition, granulated garlic powder, long bar row, love, personal trainer, vegetables, weight lifting, weight training. Bookmark the permalink. You’ll be awesome! I’m cheering for Team Tanya! Thanks Cicely! I am definitely looking forward to round two. By the way, I am also cheering you! You’ve got this.